“A local currency is used within a defined area and promotes demand for local goods and services. A multiplier effect occurs as the service or goods provider in turn spends the funds locally, with each reuse strengthening the system, promoting local value, self-sufficiency and community interdependence, while providing independence from financial systems far from local control and benefit. I’m anchoring the circular economy to its currency meaning and show how both the Euro and cryptocurrencies share the same adoption, growth and stability cycles. Few remember that the Euro was established in 1999 as a virtual currency first and only in 2002 did it become a printed / minted physical currency. Beginning on 1 January 1999, all bonds and other forms of government debt by eurozone nations were denominated in euros and all participating economies pegged their local currencies to the Euro, becoming subdivisions. Kind of like an ICO, right? The ICO organizer sets a price and fixes all other crypto rates to the new currency, then distributes the new currency to be used in the local economy they are, supposedly, creating. I say supposedly because not all ICOs aim to create economies and those who don’t and aren’t a security are most likely scams / shitcoins. The biggest turning point for the Euro was when a part of the circulating supply was locked as foreign exchange reserves and that share increased, replacing some of the dollar share of reserves, sending the dollar value down and the euro value up. 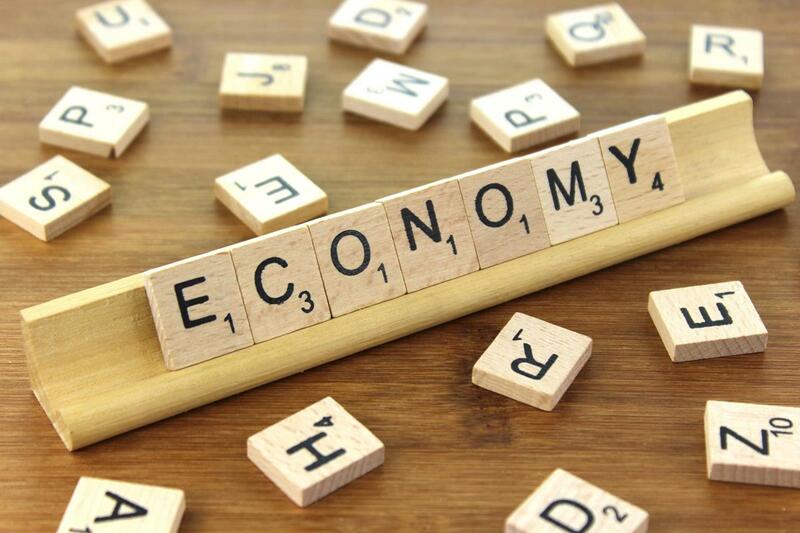 But back to the circular economy component — if you just have the above decisions and adoption, including forex reserves, then your economy still risks having to use external resources more than internal ones and devalue the local currency by oversupply. Let me create an example here – fiat with fiat. People in your local economy consume a lot of wheat, and that wheat is imported from US. They pay for it in Euros, but those Euros get converted in USD so that the wheat producer can pay salaries, bills and other expenses in the US, where USD is legal tender. Once the wheat producer has sold the Euros they received and got dollars in return, the total supply of Euros has increased, while demand has stayed the same. This drives the price of EUR-USD down, which means you can buy more Euros with the same dollar amount. How can you stop this? You produce wheat in the Eurozone and consume it there. Let’s see what happens if you do that. Your people buy wheat from the wheat producer inside the Eurozone with EUR, the wheat producer pays for their cost of doing business with EUR, so there is really no change in supply or demand for EUR versus other currencies. 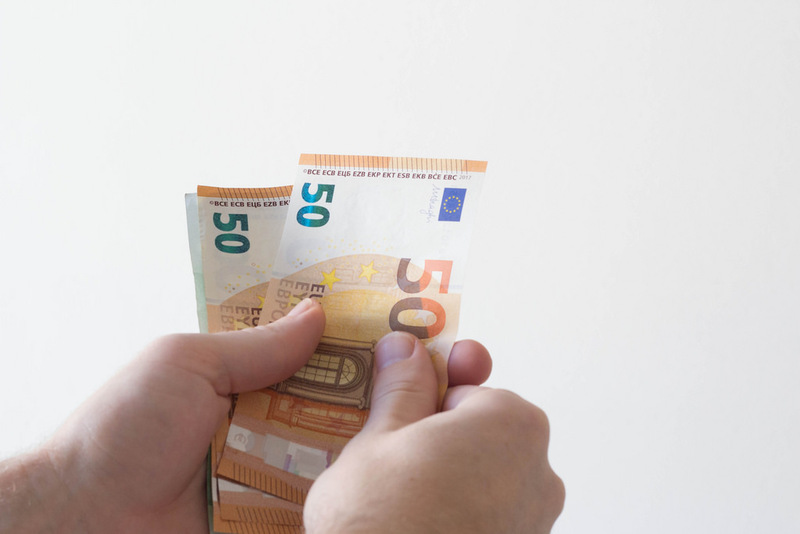 A potential consequence for this might be even a reduction of supply or increased demand of EUR, as there is less EUR available for foreign exchange, therefore driving the EUR-USD and other pairs up – meaning for every dollar, you can buy less and less EUR. And that’s a good thing for the Eurozone, it increases the value of their currency and economy. If you go a step further and produce goods and services beyond what your people can consume and based on external demand, then the supply reduction / demand increase of your currency is accelerated. Let’s use the wheat example again. If the wheat producers of the Eurozone satisfy all the wheat demand locally and have surplus they export to other countries, let’s say Russia, so we can use the ruble, then there are goods flowing out of the zone. The wheat is paid for in Ruble and the local wheat producers exchanges those rubles for Euros, as they need local currency to pay salaries, bills and other expenses. The ruble drops, the Euro increases, so next time the same ton of wheat will be worth more rubles for the same euro amount. The supply of Euros decreases and the supply of ruble increases, making it more expensive to buy wheat from Eurozone countries. I ended the story on that note to show that a circular economy without inflation is dangerous, as competing goods and services from other countries with inflation can become a better choice, even if yours are superior in quality, if the Euro becomes too expensive year after year. But then we enter the advanced realm of monetary policy, competing systems and that’s beyond the scope of what I’m addressing today. People in your local economy consume a lot of wheat, and that wheat is imported from US. They pay for it in Monero, but those Monero get converted in USD so that the wheat producer can pay salaries, bills and other expenses in the US, where USD is legal tender. Once the wheat producer has sold the Monero they received and got dollars in return, the total supply of Monero has increased, while demand has stayed the same. This drives the price of XMR-USD down, which means you can buy more Moneros with the same dollar amount. How can you stop this? You produce wheat in the Monero community and consume it there. Let’s see what happens if you do that. Your people buy wheat from the wheat producer inside the community with Monero, the wheat producer pays for their cost of doing business with Monero, so there is really no change in supply or demand for Monero versus other currencies. A potential consequence for this might be even a reduction of supply or increased demand of Monero, as there is less Monero available for foreign exchange, therefore driving the XMR-USD and other pairs up – meaning for every dollar, you can buy less and less Monero. And that’s a good thing for the Monero community, it increases the value of their currency and economy. If you go a step further and produce goods and services beyond what your people can consume and based on external demand, then the supply reduction / demand increase of your currency is accelerated. Let’s use the wheat example again. If the wheat producers of the Monero community satisfy all the wheat demand locally and have surplus they export to other countries, let’s say Russia, so we can use the ruble, then there are goods flowing out of the zone. The wheat is paid for in Ruble and the local wheat producers exchanges those Rubles for Monero, as they need local currency to pay salaries, bills and other expenses. The ruble drops, the Monero increases, so next time the same ton of wheat will be worth more rubles for the same Monero amount. The supply of Monero decreases and the supply of ruble increases, making it more expensive to buy wheat from Monero community members. People in your local economy consume a lot of wheat, and that wheat is imported from the Bitcoin community. They pay for it in Monero, but those Monero get converted in Bitcoin so that the wheat producer can pay salaries, bills and other expenses in the Bitcoin community, where BTC is considered tender. Once the wheat producer has sold the Monero they received and got Bitcoin in return, the total supply of Monero has increased, while demand has stayed the same. This drives the price of XMR-BTC down, which means you can buy more Monero with the same Bitcoin amount. How can you stop this? You produce wheat in the Monero community and consume it there. Let’s see what happens if you do that. Your people buy wheat from the wheat producer inside the community with Monero, the wheat producer pays for their cost of doing business with Moner, so there is really no change in supply or demand for Monero versus other currencies. A potential consequence for this might be even a reduction of supply or increased demand of Monero, as there is less Monero available for foreign exchange, therefore driving the XMR-BTC and other pairs up – meaning for every Bitcoin, you can buy less and less Monero. And that’s a good thing for the Monero community, it increases the value of their currency and economy. If you go a step further and produce goods and services beyond what your people can consume and based on external demand, then the supply reduction / demand increase of your currency is accelerated. Let’s use the wheat example again. If the wheat producers of the Monero community satisfy all the wheat demand locally and have surplus they export to other countries, let’s say the ZCash community, so we can use the Zcash, then there are goods flowing out of the zone. The wheat is paid for in Zcash and the local wheat producers exchanges those ZEC for Monero, as they need local currency to pay salaries, bills and other expenses. The ZEC drops, the Monero increases, so next time the same ton of wheat will be worth more ZEC for the same Monero amount. The supply of Monero decreases and the supply of ZEC increases, making it more expensive to buy wheat from Monero community members. Cryptocurrencies are no different from classic currencies, unless we invent new ways of using them in our economies. In capitalism, the system I just described above applies and will separate the winning cryptos from the losing ones long term. The ones who are able to circularly produce and spend and attract external resources in will win, while the other ones, producing less, will owe more and more and their currency will be worth less and less, until it eventually disappears and they adopt the next ruling currency.